NASA’s Juno spacecraft will stay in its current long-period orbit around Jupiter until at least February, and perhaps longer, as engineers study balky valves inside the science probe’s propulsion system and an unexpected computer reboot that interrupted key functions of the orbiter earlier this month. 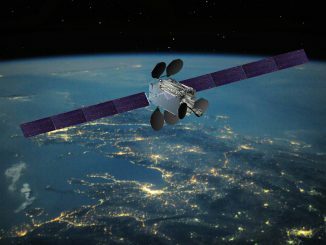 The spacecraft has recovered from the software fault that triggered a computer reboot Oct. 18, a day before Juno flew by Jupiter less than 3,000 miles (5,000 kilometers) above the giant planet’s cloud tops. Engineers from NASA’s Jet Propulsion Laboratory and Lockheed Martin, Juno’s contractor, are still investigating the root cause of the problem that put the probe into safe mode. NASA said a software performance monitor on Juno induced a reboot of the spacecraft’s on-board computer. In the meantime, Juno remains in an orbit that takes it once around Jupiter every 53.5 days, an elongated, highly elliptical path that officials meant for the spacecraft to fly in for the first three-and-a-half months after it arrived at the gas giant July 4. In the next few weeks, Juno will arc out to a distance of up to 5 million miles (8.1 million kilometers) from the gas giant, then Jupiter’s gravity will tug it back in for the next close-up encounter Dec. 11. Juno was supposed to fire its main engine Oct. 19 to adjust its trajectory around Jupiter and lower itself into a tighter 14-day orbit, the intended perch for the $1.1 billion mission’s batch of instruments to gather data on Jupiter’s atmosphere, magnetic and gravity fields, and deep interior. The behavior of the valves led managers to postpone the Oct. 19 engine burn to study the problem, and researchers hoped to use the flyby — called a perijove by mission officials — to collect science data from Juno’s nine instruments, comprising 29 individual sensors. Juno is not able to conduct a full science pass when it fires its main engine. Those plans were thwarted when Juno suffered the computer fault Oct. 18, which automatically shut off the craft’s science instruments and put the probe into a stable configuration to await instructions from Earth. 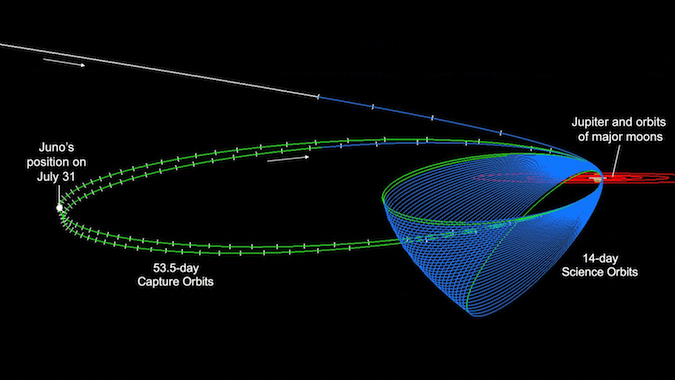 Officials originally said when they announced Juno’s valve issue that the Oct. 19 orbit adjust burn, called the period reduction maneuver, could occur as the spacecraft’s next flyby Dec. 11. 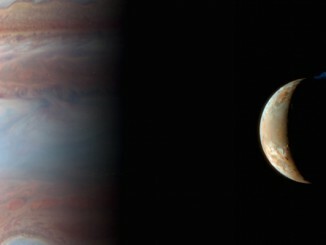 Scientists now expect the next flyby, or perijove, to purely collect science data, and the period reduction maneuver is expected no sooner than the following encounter with Jupiter in early February. The rocket burn will slow down Juno’s speed around Jupiter, dropping the highest point of each orbit closer to the planet. The laws of orbital mechanics require the burn to happen when Juno is at perijove just a few thousand miles above Jupiter’s cloud tops. Engineers have not determined the cause of the sluggish valves, and managers have not ruled out keeping Juno in its current 53.5-day orbit indefinitely. 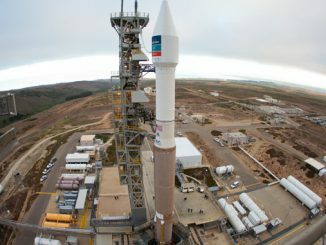 Bolton said the mission can still obtain its intended measurements from the 53-day orbit. The prime time for Juno’s observations of Jupiter come when the spacecraft is closest to the planet, and the probe will still pass through that region on each orbit. 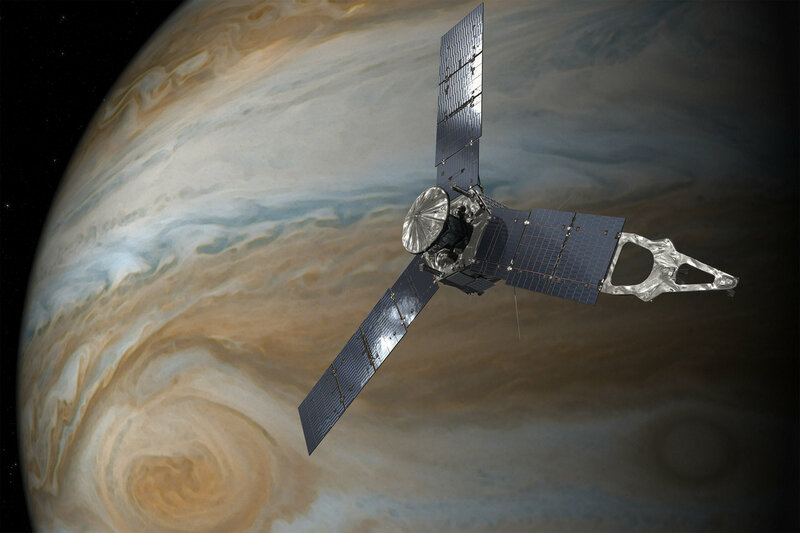 One factor limiting Juno’s lifetime around Jupiter is the spacecraft’s radiation exposure. The spacecraft only flies through Jupiter’s intense radiation belts just before and after each perijove, and Bolton said keeping Juno in its current orbit will not affect the radiation dose on each flyby, but it will spread out the overall exposure over a longer period of time. “There are two issues here,” said Jonathan Rall, head of NASA’s planetary science division’s research and analysis program, in a presentation to the NASA Advisory Council’s science committee Thursday. “The first is the check valves in the propellant system that operated very slowly when they were commanded to open. “The second issue is Juno went into safe mode about 13 hours before it was to do its second perijove,” Rall said. “That appears to be some kind of a glitch, whether it’s a single event upset or a computer glitch, it’s not known yet. Those two things are completely independent. If Juno has to remain in the 53-day orbit, scientists are optimistic they can collect the observations needed to meet the mission’s minimum requirements for success. The 14-day orbit was designed to keep Juno’s three solar array panels, arranged in a propeller shape around the craft’s main body, always in sunlight. If Juno stays on its current course, that will no longer be possible starting in 2019, when the probe would start its 20th 53-day orbit. At that time, Juno would pass into the shadow of Jupiter for up to six hours, robbing the orbiter of sunlight to charge its batteries. The spacecraft was not designed to survive darkness for that long. “We do, in fact, want to get into the 14-day orbit so that we can complete the baseline mission,” Rall said. “The baseline mission is 32 orbits with a perijove altitude of 5,000 kilometers (3,000 miles). But Bolton told reporters last week the ground team has plenty of time to resolve the problem with Juno’s main engine or determine a way for the craft to survive Jupiter’s shadow. “You get a lot of orbits, and you have a lot of time to study the rocket motor or decide if there’s a way to get around the eclipses,” Bolton said. “You can accomplish an incredible amount of science in 20 orbits. “The worst-case scenario is I have to be patient and get the science slowly,” Bolton said. “The science is still going to be obtained in the exact same way we had planned. The 53-day geometry is pretty much the same. The science opportunities are all there. There’s a plus side. We have more time to analyze and interpret the science (between flybys), so you can dive in deeper to each dataset than you were going to be able to. “The bottom line is I have to wait, and I’m generally impatient, and most of my science team are,” Bolton said. Since it entered orbit around Jupiter on July 4, Juno completed one close-up pass over Jupiter’s cloud tops in August and took the first straight-on pictures of the planet’s poles, revealing huge cyclonic storms churning out of view of previous missions. One of the cyclones is more than half the diameter of Earth and has clouds towering 280,000 feet (85 kilometers) or higher above the surrounding atmosphere, Bolton said. “We’re seeing, for the first time, the three-dimensional effect of Jupiter’s atmosphere,” Bolton said in a press conference at the American Astronomical Society’s Division for Planetary Sciences meeting. “This one cyclone shows shadows which right away told us part of that storm system is elevated above Jupiter’s base atmosphere. Juno’s on-board camera, called JunoCam, also confirmed Jupiter does not have the hexagonal cloud patterns seen on Saturn’s poles. The spacecraft’s microwave radiometer also peered inside Jupiter’s atmosphere for the first time to see how what may drive the planet’s colorful zones and belts visible at the cloud tops. With Juno’s engine sidelined until at least next year, the next chance for scientists to get a close look at Jupiter will come Dec. 11.